... . His comedy roots are still firmly in Merseyside though, and he remains passionate about the Liverpool... .
Jarred Christmas, Luke Toulson... comedy sizzle with originality. Carey Marx has been a... 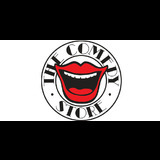 The Comedy Store and annually compering Reading, Leeds and Glastonbury Festivals.